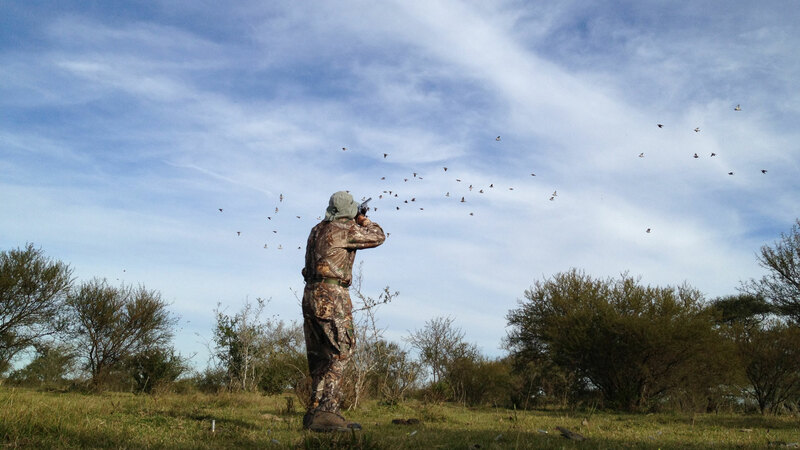 THE EASIEST WAY TO GET HIGH VOLUME DOVE HUNT IN ARGENTINA! 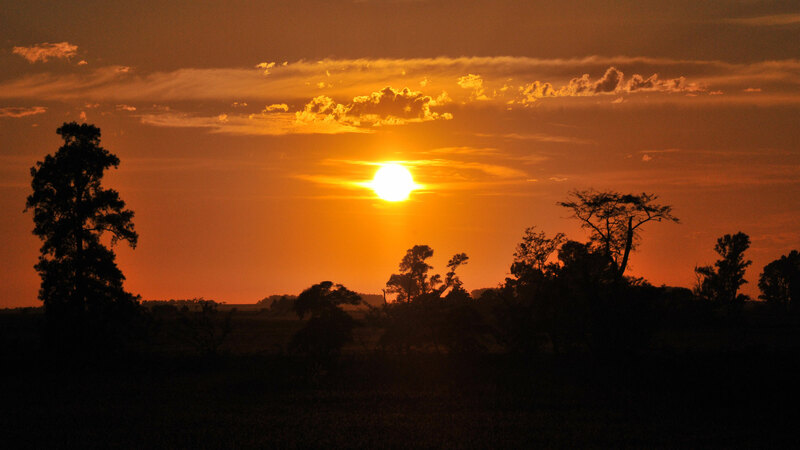 TWO HOURS AWAY FROM BUENOS AIRES! 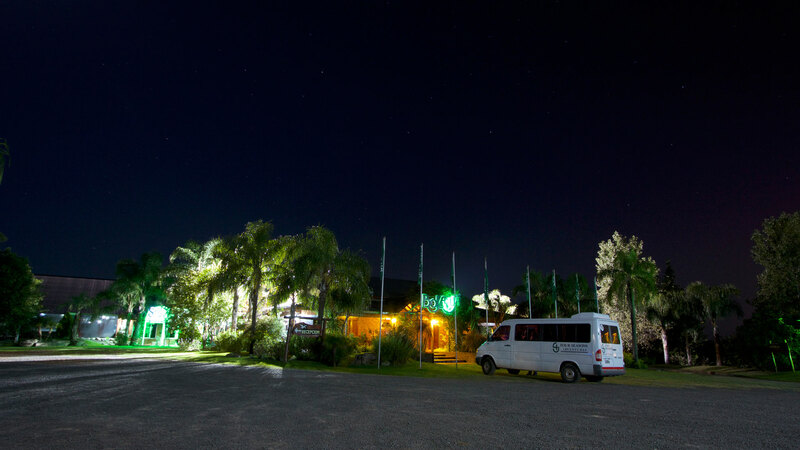 Bolacua lodge, is set strategically in an area that beats Cordoba, Tucuman, Salta or any other province in convenience and quality of the dove hunting in Argentina. All major airlines fly from USA to Buenos Aires and the drive is safe 2 ½ hrs on 4 lane highways from the airport. Since 2008 we have being successfully hunting this new area, replacing our Cordoba hunting lodges due to easier logistics. The no tail farming techniques have developed a huge population of millions of doves that continue increasing. The two roosts we hunt, host an estimated population of more than 40 million birds. The easy access determines no flight connections in Santiago or Buenos Aires (no delays risk). Hunters get a REAL half day hunt on arrival and departure day. 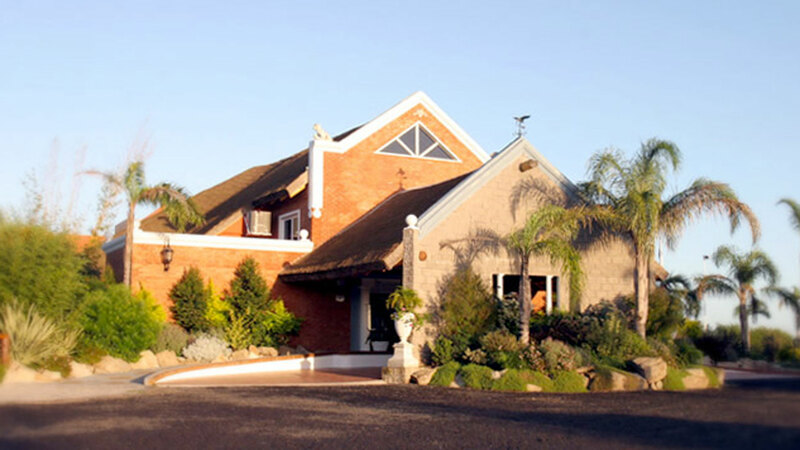 Getting there is so easy that we even run one day hunting trips out a hotel in Buenos Aires while you stay for business or family trips. Our guests now have the opportunity of enjoying high volume shooting in a unique new location where Four Seasons Adventures is pioneer and the chances of hearing other shooters are non existent. 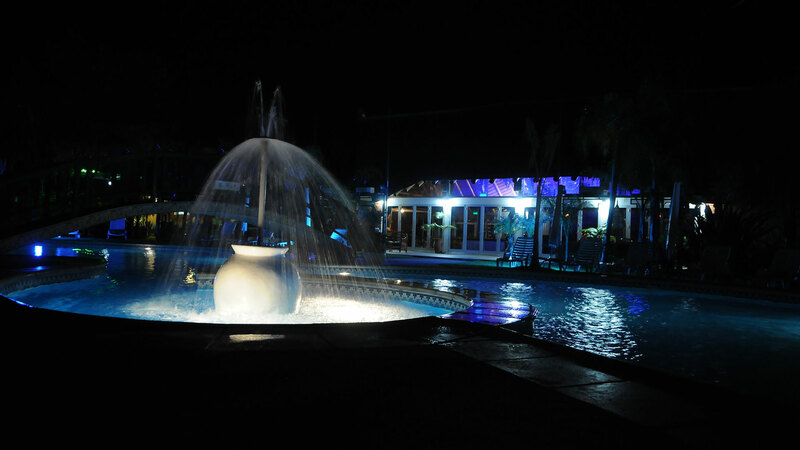 Posada del Bolacua is a magnificent resort and spa, with 30 comfortable rooms, in a wonderful tropical garden with native and exotic birds. The spa has an indoor swimming pool, hot tub and massages room, you can enjoy to relief after a high volume shooting day. 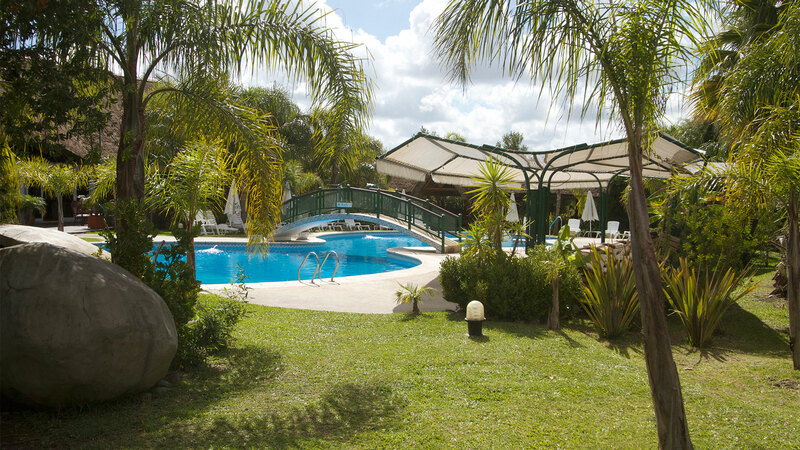 Other amenities are the two bars, one at the main hall and the second one by the outdoor swimming pool, two tennis courts and the archery range. 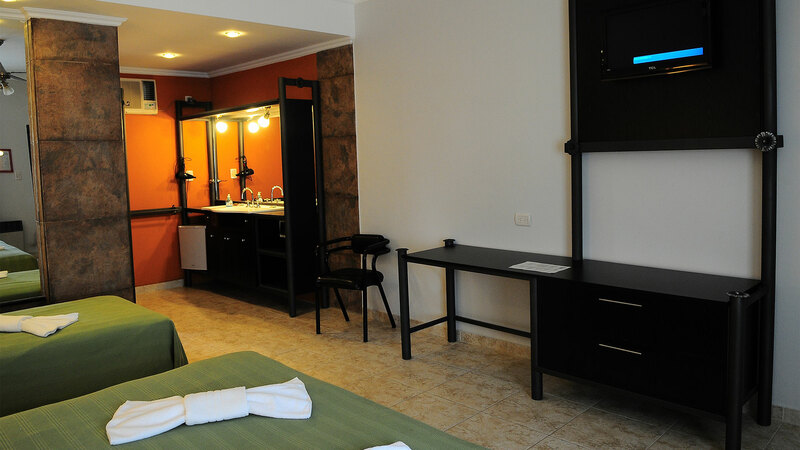 All of the rooms have private bathrooms, immaculate cleanness, WIFI, TV with some English speaking channels and king or queen size beds. 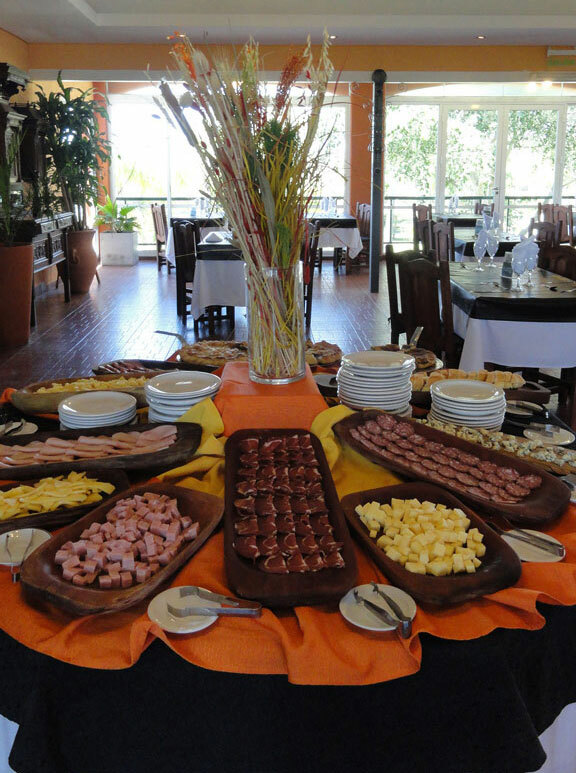 The excellence of the cuisine and the bartender's skills and liquor variety in the open bar make the culinary experience a real add on to the hunting experience. Four Seasons Adventures, has been delivering some of the best hunt in Argentina since it was created in 1980, keeping a high rate of happy repeating customers. The company delivered dove hunts in Cordoba, Patagonia, Santiago del Estero, Buenos Aires and Entre Rios provinces. Four Seasons Adventures is also well known for the Argentina Duck hunts, Patagonia Red Stag hunt in the most beautiful environment on earth. 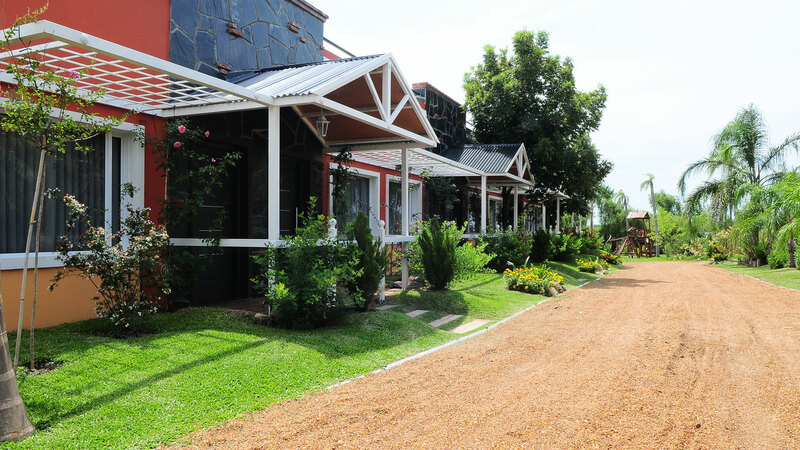 In 2008 years ago, we replaced our Cordoba lodge by this new dove lodge in Gualeguaychu, increasing the convenience for our guests and improving the quality of the hunt. The ownership is shared among the local management team and North American shareholders that where happy customers and decided to invest in the company that successfully hosted them many times. Cano Saint Antonin | President and main owner. 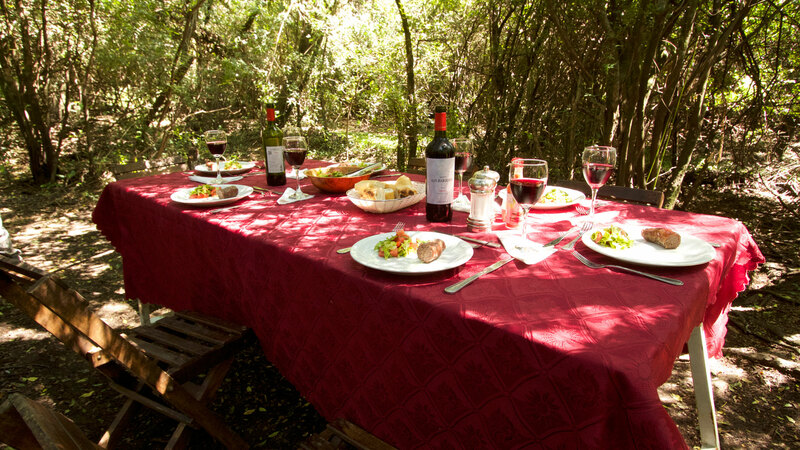 Hunting guide since 1980, found out that there is no need to travel further than 130 miles from Buenos Aires to get to the best dove hunting in the world and managed to set everything to host the Four Seasons Adventures guests in this new area. Gabi Rossi | Sales Manager. Graduated on tourism, coordinates all the bookings and provides information to the customers and agents. Lived in the USA for 10 years, playing polo professionally and joined the team in 2008, running the hunts at Bolacua Lodge since then. He has good organizational skills and personal graciousness as a host. Marcos Hardt | Field guide and field cook. His knowledge of nature, responsibility and skills to organize, make the hunts flawless and the lunches at the field a unique experience. Early morning, after a full breakfast, we drive (5 to 30 min.) to the field where the blinds have been set with shotguns and shells ready to start the hunt. When the sun rises, clouds of doves will start flying over the blinds and the fun begins. There is no way to describe it; you must see it to believe it. Each hunter can be helped by a bird boy, and furbished with two shotguns to be always ready. The birds will fly all day long, but unless you want to set a record, we take a break for lunch in the field or at the lodge. This is the highest volume shooting you can get anywhere in the world. The limit is set by the hunter's capacity; there are always more birds than anybody can shoot. Flying patterns along the year. From October to April, we shoot the feeding paddocks or the flyway by the roost all day long. From May to September we shoot the doves while they are feeding during the morning and by the roost all afternoon. This is the highest volume shooting you can get anywhere in the world.uns and a loader are highly recommended. The limit is set by the hunter's capacity; there are always more birds than anybody can shoot. CLOSEST DOVE HUNT FROM BUENOS AIRES, ARGENTINA. The easiest to get high volume dove hunting Argentina!!! Two hours away from Buenos Aires!!! You leave home late afternoon and start shooting next midday. 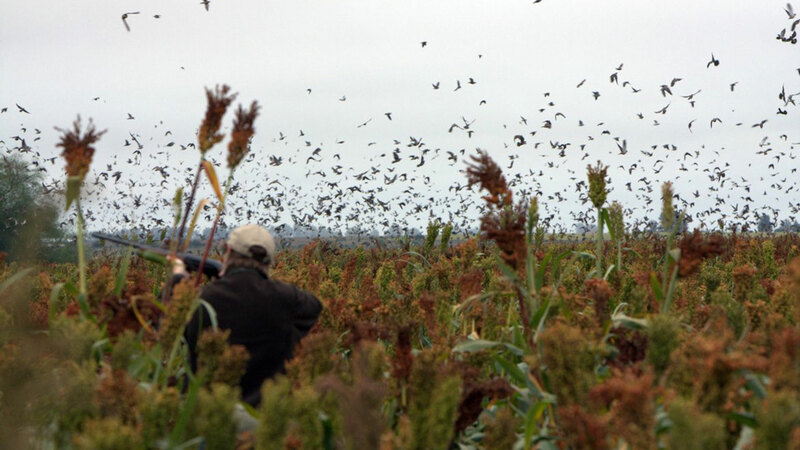 All major airlines y to Buenos Aires arriving early morning and allowing a real half day dove hunt. Each member of the group may arrive in different airline and there are no connections required. Bringing your gun is easier since connections in Santiago (Chile) are restrictive to guns. All the way to the lodge is 4 and 6 lane highway, avoiding those narrow 2 lane highways loaded with heavy trucks, like the ones in Cordoba and Santiago del Estero. The two and a half to three hour drive even make it worth for a one day dove hunting trip from the hotels in Buenos Aires. The access is so easy that you can wake up in a hotel in Buenos Aires, hunt 1000 doves and be back to see a Tango show at night!! The no tail farming conditions have developed a huge population of millions of doves within 25 miles around the lodge. 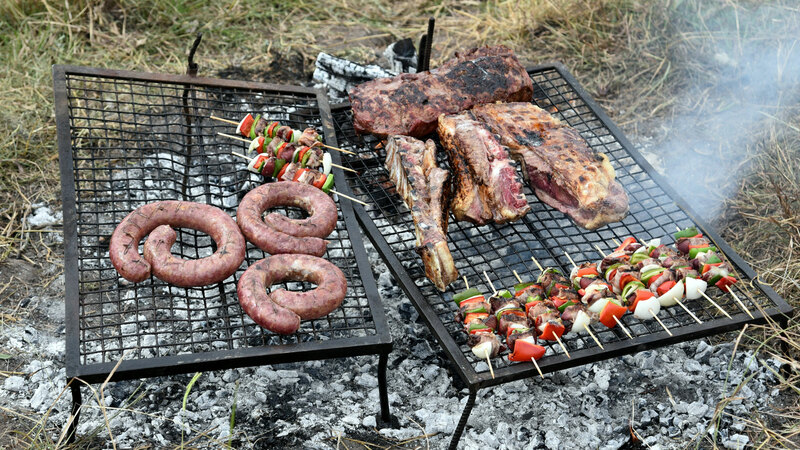 Our staff has the skill to set the best dove hunt catering everything the hunter needs for the best experience in Argentina. 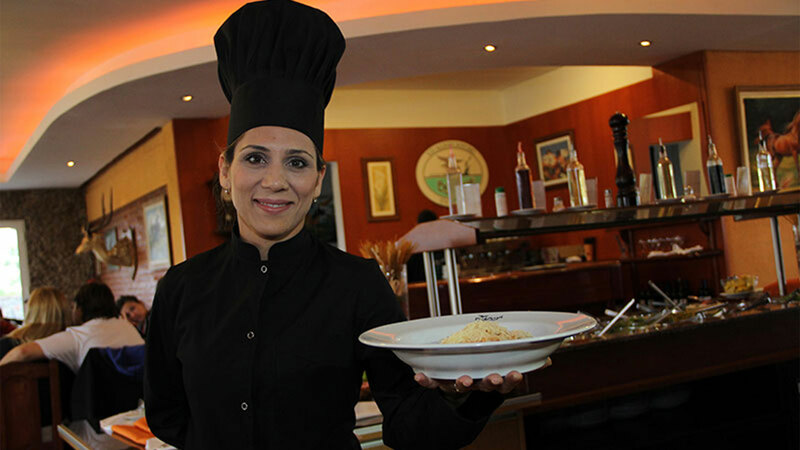 The comfort of the resort and service of its staff is outstanding. After a good day shooting doves, a warm swimming pool, a hot tub or a good massage feel like heaven and so does the open bar with skilled bartender. Write to us for more information about our hunting programs and touring.